Enclosure shown with T-Max® 3W/G2™ Timer (sold separately) attached. The T-Max® 3W/G2™ is designed to fit nicely into a plastic double wide light switch box. If you prefer to hang the T-Max® 3W/G2™ on your wall, a optional slick looking enclosure is available. The T-Max® 3W/G2™ Enclosure has teardrop holes on the back for easy wall mounting, and is designed so that the T-Max® 3W/G2™ can be angled either up or down. 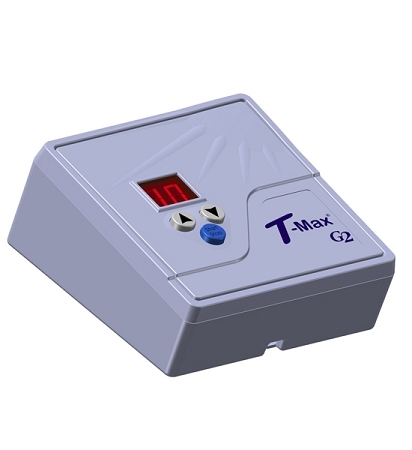 The T-Max® 3W/G2™ Enclosure is also ideal if you want the T-Max® 3W/G2™ to set on a table or desk.